Photo maker is a software made with java. You might need a photo which is used in a application forms. This software generates printable photo from your general photo. 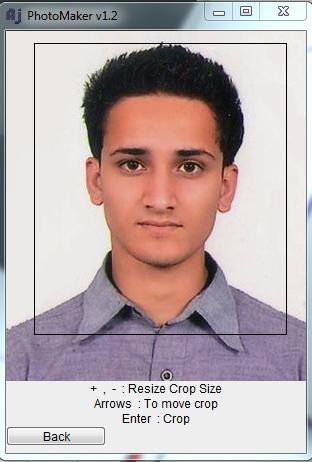 Just select, crop and get the standard size photos for your application forms. It creates a 12 photos of your frontal face picture.